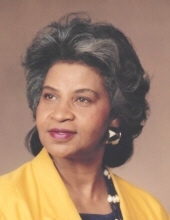 Jacqueline “Jackie” Holloway, 83, of Oak Ridge, Tennessee passed away peacefully at Fort Sanders Regional Medical Center on October 31, 2018. Jackie was born in Knoxville to Ernestine Reagan Cooper and Herbert Clyde Cooper on March 16, 1935 and attended local schools throughout her time in Knoxville. She married George “Rudy” Holloway, Sr. on July 24, 1952. She began her career at Methodist Medical Center and ended it after serving faithfully for 32 years at Oak Ridge National Laboratory. She was well known throughout Anderson County for her dedication to the public. For multiple years, she served as County Commissioner along with sitting on several boards for community and national organizations. Most dear to her were the Atomic Trades and Labor Council, Anderson County Democratic Women, Leadership Knoxville, and a host of other organizations. She was preceded in death by her parents; devoted husband of 54 years, Rudy Holloway; daughter Michelle; grandson Justin Crittendon; siblings Orville Bryant, Sammy Cooper, Anne Poindexter, Jean Brock, and Linda Cooper. She is survived by: her siblings; Michelle Cooper of New Jersey, Rene Cooper of New York and Clyde Cooper of Ohio; by her children, Lynda Crittendon (Darryl Clarke) of Cincinnati, Ohio; Rudolph Holloway, Jr. of Oak Ridge; Cheryl Yvette Holloway of San Diego, California and Julie Holloway Fletcher of Oak Ridge; her grandchildren, Candace Fletcher, George Ward, Rudolph Holloway, III (Candace), Nicolas Fletcher (Aniye), and Zane Holloway; and her great-grandchildren, Javoun and Nashoun Crittendon, Lyric, Nicolas, Leena and Noah Fletcher, Tegan and Taelyn Holloway, Athena and King Ward, Kayden and Zaire Holloway and Amari Ingram; her devoted goddaughter, Carmen Toy-Fouse, her children Tiffany Toy and Celvin Fouse and a host of other relatives and friends were special people in Jackie’s life. Receiving of Friends will begin at 12 pm on Monday, November 5 at the Weatherford Mortuary Chapel with the funeral service beginning immediately after at 1 pm. The Reverend Churchill Moore (Spurgeon Chapel) will officiate. Interment will follow at Oak Ridge Memorial Park. In lieu of flowers, the family requests that donations be made to the American Cancer Society, P. O. Box 22478, Oklahoma City, OK 73123. Donations can also be made online at www.cancer.org. An online guest book can be signed at www.weatherfordmortuary.com. To send flowers or a remembrance gift to the family of Jacqueline Cooper Holloway, please visit our Tribute Store. Burial will follow at Oak Ridge Memorial Park. Meet at the cemetery in the Garden of Valor. "Email Address" would like to share the life celebration of Jacqueline Cooper Holloway. Click on the "link" to go to share a favorite memory or leave a condolence message for the family.